A huge thanks to NetGalley and Mantle Publishing for sending me this book in exchange for my honest and unbiased opinion about it! This novel became available for the public on Wednesday, a.k.a. August 1st, 2018! Funny thing is, the cover got my attention because of the title, ‘Sweden’. I’ve been recently on a trip there, and it was so lovely! I thought it would be nice to read about it. Already while reading the description I got to know that this title is more of a symbol, a promise, and the novel takes place in Japan, but it still sounded interesting, so I decided to read it. I have to say I wasn’t disappointed! This was a very original story set during the Vietnam War, but instead of concentrating on the U. S., it took place in Japan. I found it a little hard to follow all the point of views and especially the time lines, but all in all I could understand everything, and I found this book very interesting. 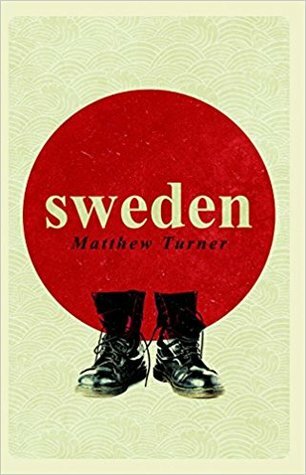 It showed several Funny thing is, the cover got my attention because of the title, ‘Sweden’. I’ve been recently on a trip there, and it was so lovely! I thought it would be nice to read about it. Already while reading the description I got to know that this title is more of a symbol, a promise, and the novel takes place in Japan, but it still sounded interesting, so I decided to read it. take on the events and the war, and I liked it very much. The reader gets to see very different people with very different personalities, situations and backgrounds react to the same things, and I think that’s awesome! We see what it’s all like for deserters and activists as well. Showing that many of the soldiers were basically kids (18, 19 year-olds) is a huge plus, and it wasn’t something just written down, all the things they did and the way they behaved demonstrated it as well. I loved to get a picture of that time’s Japan, too. I found the endings, the two epilogues a bit awkward, but all in all this was a well-written, complete and interesting story. I think most stories dealing with the topic of the Vietnam War are either a very heroic tale starring American soldiers ‘saving the country’, or they’re sad, kind of naive pieces from the POVs of hippies. This book is neither and I was so happy it isn’t! It shows how things in Japan were at the time, how people thought, it’s a realistic antiwar story. I haven’t even heard about these organizations helping deserters before. If you like historical fiction, and would appreciate a different take on something of the 20th century’s history from the usual, this book is for you! This is a very good piece of historic literature and gives you perspective you probably wouldn’t think about at all on your own. If the author writes more books, I’ll be there to read them! Thank you! ☺️ I’m happy you find this book worth buying according to my review, and that I could help you find a new interesting title! 😊 Thanks for stopping by!